Deputy Attorney General Rod Rosenstein will remain at the Department of Justice “a little longer” than the top law enforcement official anticipated, according to reports. 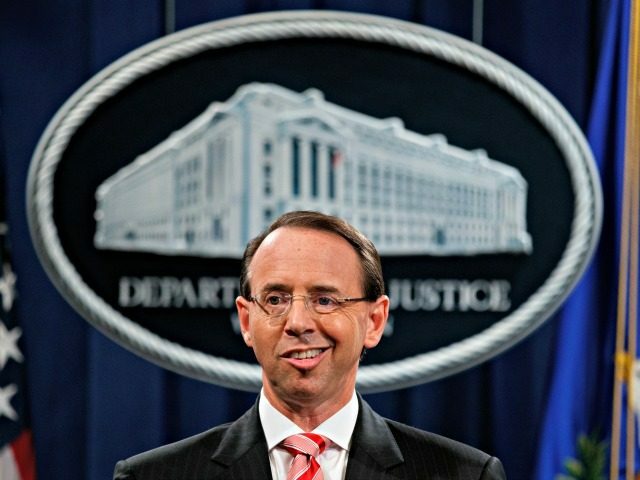 Fox News and CNN report Rosenstein reached an agreement with Attorney General William Barr for his number two to remain in his post, despite previous plans to leave in mid-March. Rosenstein reportedly has yet to submit his two weeks notice to the White House. Last month, President Donald Trump announced he intends to nominate Jeffrey Rosen, a veteran litigator and deputy transportation secretary, to replace Rosenstein. The announcement came shortly after Barr selected Rosen to be his deputy. Rosenstein’s relationship with the president has been rocky throughout his tenure as deputy attorney general. He has overseen special counsel Robert Mueller’s investigation into possible collusion between the Trump campaign and Russia in the 2016 presidential election. Then-Attorney General Jeff Sessions recused himself from the probe due to his involvement in the Trump campaign. It is unclear whether the Mueller report’s potential mid-March release played a role in Rosenstein’s decision to stay.